Hello lovelies! Some of you might remember that couple of weeks or so ago, I did a post called 'Blogging, What's the Point? ', in which I explained my thoughts on 'the point' of blogging. In short, I explained why I blog, getting past what others think about blogging and what you may get from blogging. However, while I covered the longer term benefits of blogging, i.e. job opportunities, I didn't go into the 'perks' of blogging. So that's what I'm going to do this post! This is a touchy subject as some people don't agree with or understand bloggers accepting PR samples, freebies or sponsored posts etc, but I personally have no issues with it at all. However, I do think there are good and bad sides to the blogging 'perks' and and that's pretty much what I want to address in this post. What are PR samples/ Freebies? How do you get them? Sometimes, as a blogger, companies might get in touch with you ask to send you a product, in return for a review. There is no real 'way' to get freebies, as your blog progresses, companies are bound to get in touch eventually. However, if you've started to blog purely for the freebies, you will be disappointed. The first company that got in touch with me was about 5 or 6 months into starting my first blog - I had no idea companies even did that! So for me, it was just a lovely surprise and nice little 'reward' if you like, for all the work I'd put into blogging. So really, if you love blogging, keep doing what you're doing and see the freebies as a lovely bonus, not a right! It's difficult to know how to deal with it when you receive your first email from a PR company. I still struggle now! It should be super straight forward, they say, do you want to review this product? Then you say, yes please or no thank you. However, sometimes, you might want more information on the product or company before accepting, so you're sure it's right for your blog and other times, it might just not fit your style. Most companies will be perfectly fine if you wish to decline, but you do get the odd ones that can be very persistent, or sometimes just plain rude! Luckily, I haven't come across this too much, but you have every right to decline and product and ignore or block any rude emailers! That said, you do need to treat the company with the same respect you expect from them. I personally will never accept a product I have no intention of reviewing or posting about. That said, I will always write a completely honest review, so if a product does not impress me, I have the right to say so - and so do you! 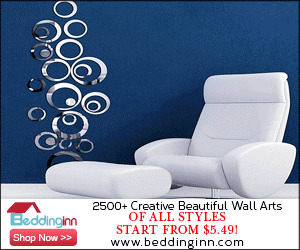 Occasionally, you might get the opportunity to do a sponsored post, which generally means a company will give you anchor text that will link to a page on a company website and you will be paid either in cash or store credit. There may be other kinds of sponsored posts, but these are the only kinds I've done and I don't want to tell you anything I'm not sure of! A lot of people don't like it when bloggers do sponsored posts, but I think if it fits the theme of your blog and you think your readers will be interested in, then why not? Obviously if I was asked to do a sponsored post on mountains or car parts (does that ever happen? you get my point), I'd probably give it a miss, but if it was about a fab clothes shop that I loved, then I'm probably going to say yes I'd love to! Staying true to your blog style. As mentioned above, if you've got a fashion, beauty, lifestyle blog like mine, and you come up with a post like, hey guys look at this really cool fish food I was sent! I might think you've sold out slightly (sorry), but I see no problems with bloggers being sent products that genuinely interest them, or doing sponsored posts for companies they believe in. At the end of the day, the decisions you make are entirely yours. Not the PR companies, not your readers, just yours. You have the right to review what you want and no review what you don't. You should never feel as though you can't say no to a company, but equally, you shouldn't feel bad for reviewing a freebie or doing a sponsored post. It's cheesy and clichéd, but if you stay true to yourself and genuinely want to write about what you're writing then you can't go wrong! So that's my little insight into PR products and things. I didn't go into heavy details as I don't really know enough to do so, but my point is, I don't think PR samples and sponsored reviews should be as big a deal as they are. As long as that's not the only reason you're blogging, I think it's fine! What do you think? 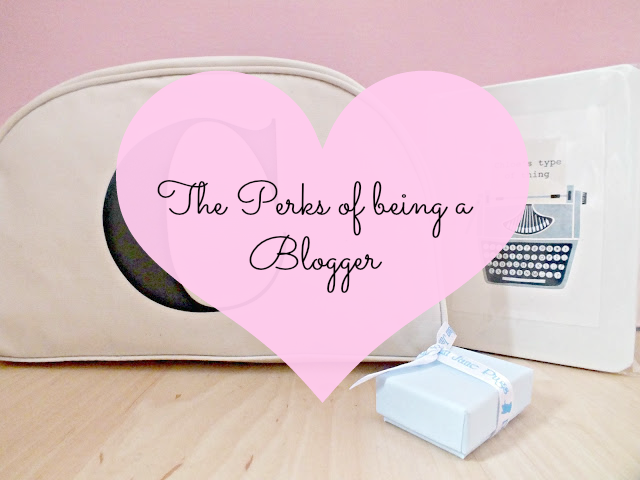 What are your views on the 'perks' of blogging? These are great tips! I havent done anything with PR companys as I find there emails confusing and I dont know should I trust giving them my address or not! :/ Id love to get involved with company's but its definatly not my top priority! Great post! I totally agree with sticking to your true blogging content. I've seen some blogs totally go off their orignal posts and its put me off reading them! Totally agree! I mainly read blogs to hear what other people think about products,as I always get slightly suspicious about really good review on the company's own website. But, when the product doesn't seem to match their blog or has about 3 lines of "I was sent this but sorry guys I didn't like it" it feels a little fake. However, if that's what they choose to put on their blogs it's up to them I guess! I agree with you that PR samples are totally fine since I (you, and most of the bloggers I believe) give honest reviews on the product. And of course, we have every right to say no since it's US who write OUR blogs.! However, I might stay away from sponsored post... I just... don't feel comfortable about it.. I really agree with you about everything you've written. Although I'm still on the fence about sponsored posts, because I always just keep scrolling if I realise it's sponsored. However, since I've never been asked to do a sponsored post, I'm not sure what I would do, so you could say that it's slightly hypocritical of me! I remember the first time I got an email and was totally in loss in regards to what I want to do with it. I did not feel comfortable with the first few I was contacted by and had to say no. I think posts like yours help with those of us who are still learning to navigate everything. Thank you!